IMCDb.org: 2002 Nissan Primera [P12] in "Flikken Maastricht - De Overloper, 2012"
Ijmuiden? The street beyond the DFDS England ferry terminal? Not on the quay itself, there are only fish restaurants. Resp. had been there. Two years ago the row of houses there was in ruins. 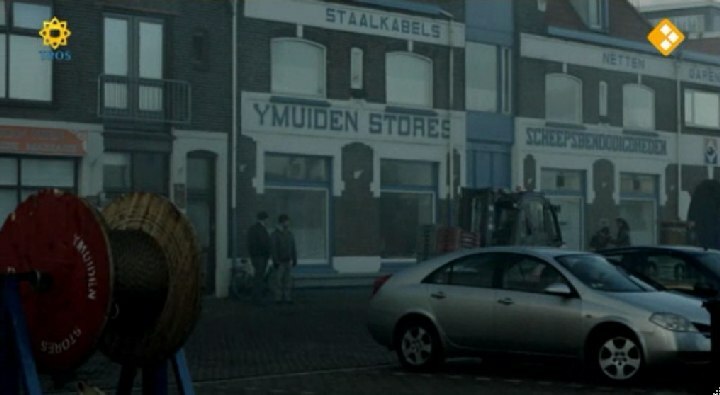 Ymuiden Stores is in IJmuiden, indeed: Trawlerkade.